I think all of the songs in this production are fabulous, though I have a soft spot for My Favorite Things. I love Edelweis, but actually I love them all. One of the words is Austria. Oh! 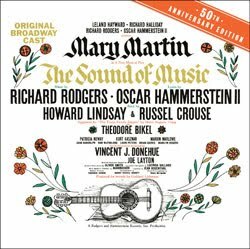 I've been wishing for a Sound of Music soundtrack CD. One of my aunts had a record years ago and we listened to it over and over. I like most of the songs. One of my favorites is, "I am 16-going-on-17". One of the words in the word search is "music". I follow you on Twitter and I re-tweeted the contest. I think my favorite is "I am sixteen going on seventeen" :) It's fun to sing it. That activity kit was way cute. I think I may have to do that with my kids while they watch it for the first time. One of the words in the word search is Yodel. I enjoy the song "maria"
I've always loved the Do-Re-Mi song, especially when watching the movie and when Maria teaches them how to sing! I follow you by subscribing through Bloglines! I like the song Edelweiss! I follow you on twitter and "retweeted"
Edelweiss is a definite favorite. My favorite song is My Favorite Things. It looks like a great cd. I am a musician/librarian, and I have played the show (in the pit orc's hestra). The Lonely Goatherd is a fun one to play (it's the song with the yodelling in it). I love Edelweiss so much that I figured out how to play it on guitar. My favorite song is...oh, it's so hard to choose! I'll go with "The Lonely Goatherd" just because it's so much fun! One of the word search words is "Abbess"
My favorite is still Do-Re-Mi. Rose is in the word search. 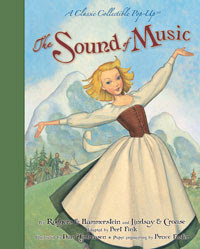 My favorite sound of music song is the one the children sing as they are going to bed! I love them all! And so does my Mom who I would give this to! She does not do the Internet! I'm going to have to go with the classic title song. Yodel is in the word search! Austria is a word in the word search! My fave song is "I am 16 going on 17" (not sure of the correct title. Of course I love "My Favorite Things"! There are so many great songs in TSOM! My favorite Sound of Music song is "So Long, Farewell." Of course, I also like "Climb Every Mountain" and "You are Sixteen going on Seventeen." Love all of the songs from the movie, but I'd probably have to choose Sixteen Going On Seventeen. Do Re Mi is my favorite song. I love the Good Night song. My favorite song is "My Favorite Things "